GWCT News & Advisory: Do we need predator control? At one conservation organisation’s AGM this year we heard some amazing habitat restoration success stories, complete with local bird population recovery – it was impressive. The speaker went on to say that this proves “if you build it, they will come”. In these examples he was absolutely right. It was great. The members loved it. What do we do in the places where habitat has been restored but targeted wildlife has not recovered? Where do we start? Any reduction in abundance is caused by losses of adults, eggs or young. So predation then? Possibly. We know predation pressure can, in some places, depress numbers, particularly of ground-dwelling species1, 2. Predation can also prevent the recovery of declined species of wildlife3. Over the last 30 years, the GWCT has published over 150 papers considering predation effects. The implications for conservation are clear. In the uplands, black grouse and capercaillie ranges would contract further if predation pressure increased4 ,5. Birds such as curlew and lapwing are typically now restricted to upland areas where predators are controlled to benefit red grouse6. In the lowlands, predator pressure has been shown to limit grey partridge recovery, corvid predation to impact on thrushes, and fox predation to restrict the abundance of brown hares7, 8, 9. Conservation success can be achieved where predators are controlled10. Having suitable habitat for breeding and survival is crucial for all species, but the impact of predation is generally recognised as a factor too. Predator control is now used by farmers, gamekeepers and a wide range of nature reserves11 where habitat management alone is not enough12. The benefits of predator control are not just for game, waders and songbirds. Reducing numbers of some of the common generalist predators can benefit some rare predators. 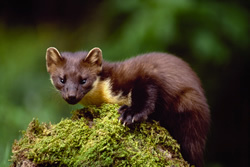 Pine martens may suffer from fox predation13. Ground-nesting harriers do well on virtually fox-free islands, e.g. the Orkney Islands, Islay, Arran and the Isle of Man, and have been found to decline on a grouse moor when fox control ended14. So is predation control the silver bullet? No. Demonstrating benefits in many situations is not a carte blanche for control; predator control must also be sensitive to the predators being taken. Many predators in the UK are recovering in numbers while some are at an all-time high15. But there is little doubt that the 19th Century drive to increase game abundance led to intense predator control that was responsible for the disappearance of many raptors and small carnivores from large parts of Britain16, 17. This legacy brought predator control, often wrongly described as ‘keepering’, into disrepute, driving a perception of incompatibility with conservation. What about the 2015 corvid paper published in Ibis? It is a helpful review of 42 corvid impact studies from around the world (it did not conduct any new corvid work). It concluded that there is evidence of corvid control improving bird nesting success (productivity), but less often having an effect on breeding abundance. We might expect to find more evidence of improving nest success (productivity) because more studies measure this. Monitoring nesting success is much simpler than monitoring breeding density – for the latter, some species require monitoring for three years until they have reached breeding maturity. This point is illustrated by the GWCT Upland Predation Experiment at Otterburn. It lasted eight years, but measuring improvements in breeding abundance of curlew took several years because most curlew do not reach breeding maturity until they are three years old. Measuring breeding abundance is more practical for species that remain in a local area and breed at the end of the first year. The 2015 Ibis paper suggests that if there is evidence of predation being at least partly responsible for poor conservation status, then predator management for conservation should, as a rule of thumb, control a broad spectrum of common generalist predators, not just corvids. A point most gamekeepers would understand. Why doesn’t it show that controlling corvids alone works? 1) If one species is controlled and leads to improved productivity, this may just provide more prey for other predators. 2) Removing one species of predator may allow others to come in or increase in abundance. 1. Aebischer, N.J. (2009). 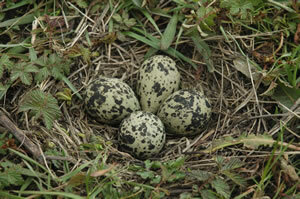 Gamebird science, agricultural policy and biodiversity conservation in lowland areas of the UK. In: Dickson, B., Hutton, J. & Adams, W.M. (eds) Recreational Hunting, Conservation and Rural Livelihoods - Science and Practice: 197-211. Blackwell Publishing Ltd, Oxford. 2. Sotherton, N.W., May, R., Ewald, J.A., Fletcher, K. & Newborn, D. (2009). Managing uplands for game and sporting interests. An industry perspective. In: Bonn, A., Allott, T., Hubacek, K. & Stewart, J. (eds) Drivers of Environmental Change in Uplands: 241-260. Routledge, Abingdon. 3. Smith, R. K., A. S. Pullin, G. B. Stewart, & W. J. Sutherland. (2010). Effectiveness of predator removal for enhancing bird populations. Conservation Biology, 24: 820-829. 4. Warren, P.K. & Baines, D. (2002). Dispersal, survival and causes of mortality in black grouse Tetrao tetrix in northern England. Wildlife Biology, 8: 91-97. 5. Summers, R.W., Green, R.E., Proctor, R., Dugan, D., Lambie, D., Moncrieff, R., Moss, R. & Baines, D. (2004). An experimental study of the effects of predation on the breeding productivity of capercaillie and black grouse. Journal of Applied Ecology, 41: 513-525. 6. Tapper, S.C. (2010). Waders on the Fringe. Why Nationally Scarce Waders Flourish on Grouse Moors. Game & Wildlife Conservation Trust, Fordingbridge, Hampshire. 7. Tapper, S.C., Potts, G.R. & Brockless, M.H. (1996). The effect of an experimental reduction in predation pressure on the breeding success and population density of grey partridges Perdix perdix. Journal of Applied Ecology, 33: 965-978. 8. White, P.J.C., Stoate, C., Szczur, J. & Norris, K.J. (2014). Predator reduction with habitat management can improve songbird nest success. Journal of Wildlife Management, 78: 402-412. 9. Reynolds, J.C., Stoate, C., Brockless, M.H., Aebischer, N.J. & Tapper, S.C. (2010). The consequences of predator control for brown hares (Lepus europaeus) on UK farmland. European Journal of Wildlife Research, 56: 541-549. 10. Smith, R.K., Pullin, A.S., Stewart, G.B. and Sutherland, W.J. (2010), Effectiveness of Predator Removal for Enhancing Bird Populations. Conservation Biology, 24: 820–829. 11. Gibbons D.W., Amar A., Anderson G.Q.A., Bolton M., Bradbury R.B., Eaton M.A., Evans A.D., Grant M.C., Gregory R.D., Hilton G.M., Hirons G.J.M., Hughes J., Johnstone I., Newbery P., Peach W.J., Ratcliffe N., Smith K.W., Summers R.W., Walton P. and Wilson J.D. (2007). The predation of wild birds in the UK: a review of its conservation impact and management. RSPB Research Report no 23. RSPB, Sandy. 12. Sotherton, N.W., Tapper, S.C. & Smith, A.A. (2009). Hen harriers and red grouse: economic aspects of red grouse shooting and the implications for moorland conservation. Journal of Applied Ecology, 46: 955-960. 13. Strachan, R., Jeffries, D.J. & Chanin, P.R.F. (1996). Pine Marten survey of England and Wales. 1987-1988. JNCC, Peterborough. 14. Baines, D. & Richardson, M. (2013). Hen harriers on a Scottish grouse moor: multiple factors predict breeding density and productivity. Journal of Applied Ecology, 50: 1397-1405. 15. Bird Atlas 2007–11: The Breeding and Wintering Birds of Britain and Ireland (D.E. Balmer, S. Gillings, B.J. Caffrey, R.L. Swann, I.S. Downie, and R.J. Fuller, Editors). BTO Books, Thetford, UK. 16. Newton, I. (1979) Population Ecology of Raptors. T. & A. D. Poyser, Berkhamsted, Hertfordshire. 17. Langley, P.J.W & Yalden, D.W. (1977) The decline of the rarer carnivores in Great Britain during the nineteenth century. Mammal Review, 7: 95-116. I suggest this is moving towards a much more sensible and balanced view from GWCT about predator control and away from the hysterical and unfounded nonsense put out by the likes of Robin Page and You Forgot The Birds about a countryside overrun with predators. The key is research that properly examines the dynamics between predator and prey in any location and always acknowledges the impact, beneficial or not, on wider populations. But it is not just a numbers game. Conservation organisations such as the RSPB will measure conservation success differently to the owners of land managed for shooting not least because the former sees predators and predation as a natural and integral part of the environment to be protected. And that largely determines the extent to which predator control is used or vaunted as an effective conservation measure. While the conservationists strive for maximum bio-diversity possible for any given habitat and sustainable wildlife populations, the shooting landowner wants to maximise the number of game birds available. It happens to be a happy coincidence that certain wildlife that does not threaten that latter objective may benefit. This is welcome and should be encouraged but the balance is not right in many places where our predators, particularly birds of prey are missing. If you are a wader, your lot might be a happier one on a grouse moor but if you are a hen harrier or other bird of prey, you are better off away from a grouse moor. And this is before examination of the detrimental environmental impacts of striving to maintain unnaturally high numbers of game birds. You acknowledge that predator control is not a silver bullet and state that sometimes habitat management alone is not enough. Ironically, organisations such as the RSPB are saying the same thing but predator control is a last not a first resort. To promote the management of land for shooting as effective (and free to the public purse) conservation and better than what the RSPB can do is disingenuous. It is only half a story.